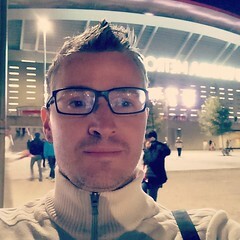 Marat Ryndin | UX / Visual Designer | Writer | Thoughts on design, biz, tech, intertubes, non-furry animals & whatever else tickles my fancy. Thoughts on design, biz, tech, intertubes, non-furry animals & whatever else tickles my fancy. There have been a lot of great goals in this most wonderful World Cup (the best in my lifetime), but that first goal by a true breakout star of this tournament, 22-year old James Rodriguez of Colombia, in yesterday’s match against Uruguay trumps them all. You don’t have to be a football (soccer) fan to appreciate the skill, beauty, precision and grace of this goal, but if you have a deep understanding and appreciation of the game or play it yourself it simply doesn’t get any better than this. It’s a goal all the little football (soccer) playing kids around the world dream of scoring in the World Cup. It’s the World Cup. It’s the knockout stage. Your whole country is watching. The world is watching. You lose and it’s all over for you, your team and your country. The opponents are a tough defensive team full of highly experienced professionals who are excellent at disrupting all your best laid plans. Their manager is well versed in strategy and tactics. They know you are the most dangerous offensive weapon. They’ve talked about how to stop you before the match for hours. They have practiced it in training. They focus on denying you space and time. They prevent you from receiving the ball in dangerous areas. They play you to absolute perfection. You are well away from their goal and have your back turned to it. You don’t even see it. You are surrounded by five, yes count them, five tough tackling defenders who ready to break your legs to prevent you from even receiving the ball in that spot. They deny any passes to you on the ground by cutting off every passing lane. You receive the ball in the air off a header from a teammate. You know you have no time or space to do much of anything with it. Unless… The computer in your head immediately, in less than 0.0001 of a second calculates the perfect course of action. You already know what you’re going to do as the ball is coming to you in the air and because of countless hours of training and practice you have the utmost confidence and audacity to try this in a knockout stage World Cup match. Now it’s only a matter of executing. And “only” means that it’s almost impossible. But you know YOU can do this. You take a perfect first touch cushioning the ball down with your chest. Yet you know that even that won’t give you enough time to get off a shot. The Uruguayan defenders are already turning towards you and there’s ill intent in their eyes. Your only chance is to try the most difficult, the least likely to succeed, and the most spectacular thing you can do at that moment. So before the ball even hits the ground you contort your body in ways that most people were not born to do and hit it on a turnaround volley, blindly, towards the enemy goal. Because you’ve done it all in a split second the men in sky blue surrounding you have no time to close in and prevent it from happening. Not even to block your attempt. You are able to hit it with the power and trajectory that leaves the opposing goalkeeper with absolutely no chance. His desperate dive is almost as spectacular as your shot, but it’s for naught. The ball spirals towards the net like a comet veering up and then down just in time to crash off the cross bar and into the net. GOOOOOOOAAAAALLLL!!! 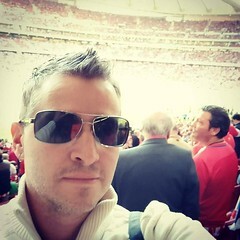 GOLAAAAAAZOOOOO!!! Except this is not a dream. You are not asleep. This is reality. This is the biggest stage. This is the World Cup. This is the knockout stage. Billions have just seen you do this. Hundreds of commentators around the world have just gone completely mental and are gushing adoring adjectives in every language known to man. Your country is ready to elect you president. Thousands in the stadium and billions around the world have just been pulled out of their seats and have totally lost their minds. They are all screaming your name. Even those who did not even know it before. Even those who only watch football every four years. They are all jumping around mad and screaming YOUR NAME. They know it now. And they will never, ever forget it. JAMES RODRIGUEZ. A true star is born. You are JAMES RODRIGUEZ. You are now, in this moment, the God of football. Always On Electronic Paper Display (EPD) on a Phone? The other day came across version 2 of the first ever smartphone from Russia. It has specs on par with some of the leading smartphones and runs the latest version of Android, but its main differentiating factor is an a second display on the back of the phone which is similar to e-readers (2nd version includes a touch screen UI). Very interesting idea as this allows you to use the phone without consuming a lot of battery life and enables you to see things well in broad daylight. If you’ve ever tried reading an article or an ebook on your phone while chilling at the park or on the beach on a sunny day you know how that’s pretty much impossible to do without really straining your eyes. 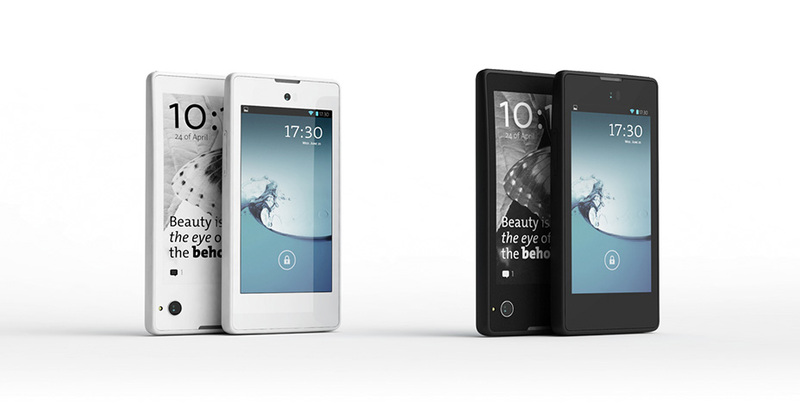 Wonder if other manufactures will follow Yota Devices in trying something like this. I’d be curious to play with it to see how they’ve handled the issue of accidentally touching something on whichever screen is facing away from you. Unfortunately, it’s not slated to hit the U.S. market until 2015. Read significantly faster with under five minutes of training? Sounds too good to be true yet a new startup called Spritz, that recently came out of stealth mode, promises exactly that by making you read even long pieces one word at a time. Let me hand it over to them for a short explanation of why this works. “Removing eye movement associated with traditional reading methods not only reduces the number of times your eyes move, but also decreases the number of times your eyes pass over words for your brain to understand them. This makes Spritzing extremely efficient, precise, convenient and comfortable”. For a more detailed explanation check out the science behind it all. The interesting part is that they claim that your reading comprehension doesn’t decrease, but rather the opposite. Think about what reading a lot faster and retaining the information better can do for you. As of right now this technology is not available on any web or mobile app, but can be had by partnering with Spritz. If you’d like to check out how it works for yourself check out the demo. While I am 100% fluent in English, because it’s not phonetic, like my native language, I still read slower than I’d like in it. With Spritz technology I was able to start reading at 400 wpm almost immediately. Later, I noticed that the demo is also available in my native language and was able to read at the demo maximum of 500 wpm. As someone who is very curious and reads a lot about various subjects I’m really looking forward to being able to process written information this way. Woke up this morning to bad news (and not even in my own inbox). imo messenger, my favorite chat client that combines most chat services into one and has a slick user interface has made the decision to cut support for all the third party messengers and become yet another stand alone client. I was originally going to post about how I feel about it, but since that is rather obvious, I’ve decided that it would be more valuable to post imo’s reasons for making this decision. I came across an imo broadcast in which both founders participated. Here are some of their responses to unhappy users. We understand this is going to make some users unhappy. However, we want to provide a reliable a great messaging service. We feel that the only way to do that is to have us build out our own network. But beyond that, providing a feature like video calling isn’t possible across all these other networks. So we end up with complicated interfaces to handle many corner cases. That’s true but these other networks don’t always provide a reliable way for us to connect to them. What ends up happening is users get upset at us and often it’s out of our control. there are some problems with the 3rd party approach as well. For example, Facebook has a setting that says whether they deliver messages to 3rd party apps. So we decided we could never do Facebook messaging as well as Facebook. @Steve half the people don’t turn that on and they tell us we have an unreliable service, and in that case they’re right. They’re better of receiving a message from someone using Facebook. So if you want to use Facebook messenger, Facebook is a better option for you. With Google we discovered that while we supported the busy status, Hangouts doesn’t and was showing our users with a busy status as offline. It’s hard to keep track of these subtleties in a product we don’t control. AOL released their entire aim team and doesn’t let us connect to aim half the time. We want to provide a good service, and we want to run more of the experience, and the complexity of dealing with these networks is making our service worse. @Steve we don’t even understand the repercussions, Skype turned us off without a warning. The other networks have been clear they don’t want other people connecting to them. So we decided we’re going to spend our effort on our network. If we get bigger, we can let other people connect to us, and fulfill everyone’s desire for an open network where anyone can be a client. But we’re not going to do it by debugging issues with each of the other networks daily. @Fer we agree completely, we’ve been working on our clients, and have decided that more of our attention should be paid to making our apps, and our service, bug free and fast. Latvian Hockey Team. THE Cinderella Story of the Sochi Olympics. I don’t post about sports here, but I have to make an exception this time around because I am originally from Latvia and hockey is one of my passions. 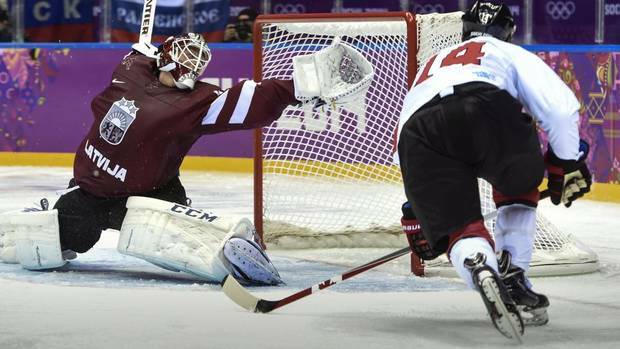 If you are a hockey fan, or even if you’re not, you’ve probably heard of Latvia’s amazing performance in the Olympic hockey tournament in Sochi. If you’re lucky enough you’ve not only heard of it, but caught some of their games. A team with just a single current NHL player (20-year old youngster Zemgus Girgensons of the Buffalo Sabres), a 41-year old captain who is listed as retired in the IIHF Guide & Record Book (former NHL All-Star Sandis Ozolinsh) and an unemployed starting goalie (Edgars Masalskis who spent all season without a pro contract with any club), for which it was an achievement just to qualify for the Olympics, played their hearts out against much superior competition giving every opponent a tough game. After three close losses in the group round Latvia came up with a huge 3-1 win in a game that really mattered, a qualification playoff against Switzerland on Tuesday (Full Replay), to advance to the quarterfinal of the most elite hockey tournament on the planet. It is almost impossible to describe what it felt like if you’re from Latvia. Very few hockey experts or fans gave our boys any chance to be there and their play against the Swiss was nothing short of inspiring. An ultimate display or courage, passion, team play and hard work. Their reward? Having to play Canada, wildly regarded as the perennial gold medal favorite, without even a single day to rest after leaving it all out there against the Swiss. The pre-game analysis from top Canadian sports network TSN, American ESPN and Sportsnet can be summarized as “well done so far you scrappy little Latvians, but now you’re going to get annihilated”. Now I present you with what I wrote shortly after the game in which Latvia lost by the narrowest of margins, 2-1 on a late power play goal by the mighty Canada, riding physical play, a total team effort and an incredible performance from a surprise starter in net, 21-year old Kristers Gudlevskis who came up with a whopping 55 saves, many of them of the highlight reel variety (Full Replay). Think this is the first time in my life that a loss feels like winning gold. SARAUJ LATVIJA!!! The day before, when we beat the Swiss felt like an amazing achievement, but to come out without fear against Canada and push them to the very end on about 20 hours of rest after leaving it all out there against Switzerland was nothing short of amazing and very inspiring. Our boys fought for every inch of the ice against the Goliath of hockey and made them sweat. It’s amusing to see Canadian coaches and players say after the game that they were never worried. When they showed the Canadian bench late in the game with the score tied at 1-1 they all looked like they were about to ask Putin for an asylum. Same with Canada’s GM Steve Yzerman sitting in the stands watching his Tampa Bay draft pick play a major role in almost knocking Canada out of the Olympics in what would’ve been the greatest upset ever. But that’s Canadians for you. The condescending attitude before the game knew no bounds with everyone completely disregarding Latvia’s impressive display up to that point (even giving Sweden a real game) and promising to destroy us. Would’ve liked nothing more to see the Canadians really humbled because many, as judging by the comments after the game, have learned nothing from it. It’s not 1921, boys and girls. Stop expecting to win every game 12-0. Thank you for inventing hockey, but it’s not just your game anymore. P.S. Just in case anyone is wondering I have nothing against Canada outside of hockey. Lovely country. EDIT: Interview with the Syracuse Crunch goalie coach David Alexander about his newly famous pupil, Kristers Gudlevskis. A new Cambridge based startup, Superpedestrian, is reinventing the wheel. Literally. Atheer Labs, a startup that got off the ground using Indiegogo, is promising a Google Glass competitor that’s better than the original.